The Internet has changed the world in many ways, which we can’t even guess exactly where the changes are going. Digitalization of money is not a new concept, because banks use a digital money to support their internet banking. And like an e-commerce where is based on digital money and some of the biggest players in this field are Paypal, Visa and Master Card. This transition seems very promising, but this is much more complicated than we all can imagined. Now, everyone has at least heard about Bitcoin which is a decentralized cryptocurrrency, and gained high popularity in the community. This form of digital currency has unique features that are quite opposite to traditional electronic mechanism managed and controlled by the banking system. Unlike centralized systems, the decentralization aspects may include for cryptocurrency transactions and associated databases. Transaction validation process, transfers by relevant stakeholders under the miners, who benefit financially for their support and technical services. Fiancia had a vision to introduce a global and trusted trading copy platform to grow financial activities and win the trust of gigantic entities and individual trader, so they can feel comfortable. Fiancia introduced a copy trading system that includes forum features and social networking growth strategies. Nowadays, the impact of crypto trade growth across the globe is enormous. Fiancia Ltd has considered all these aspects and would like to introduce a slide of a copy trading system with several features. Various features of the system summed up in the following way. The system will ensure a user-friendly approach for traders and customers. Under the merchant, the system will be able to manage and execute trading activities under an algorithmic trading system. Fiancia Ltd will ensure full control to protect the interests and other concerns of the trade since billions of dollar transactions will be executed under the system. Regardless of the trading terminal, it’s also serve as a social network connection. Where the all stakeholders and certain groups of investors and traders can share their views, news and suggestions for the collective interest, and also build a wealth network among all parties and related entities. The system will offer a transaction withdrawal processing in terms of funds managed and maintained by the company for traders within minutes. Regardless of the trader, the investor in the same way and unique will also be able to enjoy the growth benefits and experiences of the trading copy system. 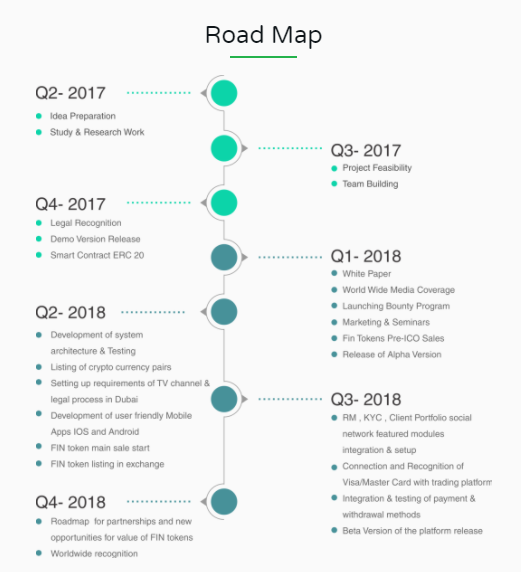 The Company will design and control the system with the goal of protecting investor interests and expectations at the greatest level, so that they can feel a sense of security from long-term acceptance by Fiancia Ltd.
Their platform will allow investors to trade like a cryptocurrency trader of the fact that their domain of intent and purpose may be quite different from the merchants. Investors will also be able to take a big and strong profits and return because of the emergence of such a productive and unique system having access to more than 3000 digital currencies in general. This system will also allow investors to assess the level of risk associated with crypto trading currencies according to the level of ranks enjoyed by the traders. The Fiancia platform will release a token named FIN Coin. FIN coin exchange will also manage the conversion to USD / EUR (FIAT currency) as developed by Fiancia. These aspects will also promote FIN coins and in this way, traders and investors will feel comfortable about the withdrawal of cash by changing whatever digital currency is available with them. The decentralized blockchain technology will be owned and managed by Fiancia acts like a crypto bank for all stakeholders in this respect. The concept of a crypto bank will also exist for Fiancia since traders and investors want ease of communication and fund management in terms of withdrawal, particularly in relation to cryptocurrency. The platform will be part of the business function and connected with the withdrawal process,where investors and traders from around the world will use a master / visa card for withdrawal as well as transfers between banks and merchants. 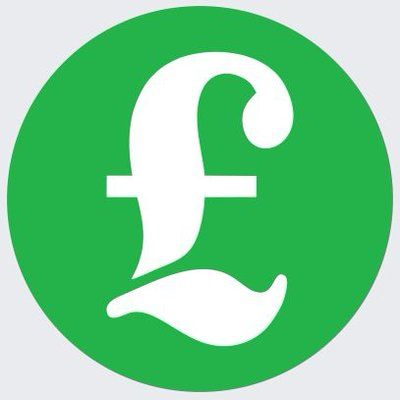 Fiancia Limited is one of the fastest growing financial institutions based in the UK. This company helps investors, businessmen, entrepreneurs, and SMEs to realize opportunities and get most results. Fiancia Limited is looking forward to launching dedicated TV channels dedicated to the world’s currency. The main purpose of this TV channel will keep viewers updated with the latest happenings in the world of digital currency. The arrival of new currency, mining, transaction processing, vulnerability and security issues, services needed to improve the overall infrastructure. The business model of any organization includes infrastructure, partners, revenue, costs, products, services, and customer base. This great goal can’t be achieved without the help of the right partner. Today, Fiancia has many programmers, lawyers, economists, and entrepreneurs, to help explain the different aspects of digital currency for viewers. Their partners include broadcasters, advertising agencies, and wallet service providers. These people can add real value to this technology, and Fiancia will give them a platform to express their opinions. You can visit www.fiancia.io for more details. The main service of this TV channel will be updates and news about different cryptographic coins. This channel will give non-stop updates and news through hourly news bulletins, daily news, and the latest news. Discussions on the forum will be broadcast and it will be a free service for Fiancia TV viewers and they will be able to get valuable information from this discussion. 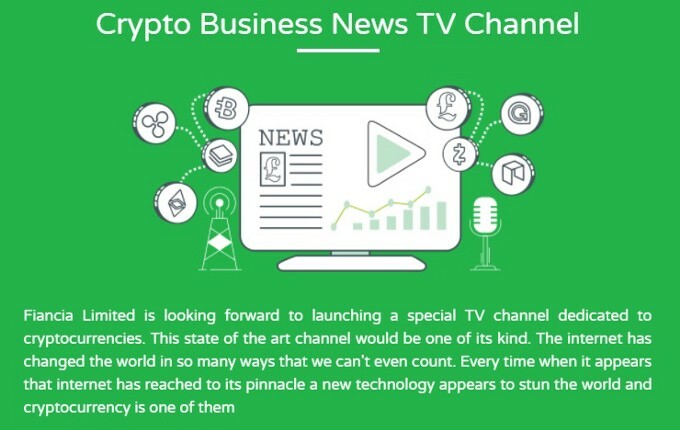 The subscribers of this TV channel will offer an opportunity to anyone who wants to learn about digital currencies or search for the latest happenings in this field. This means this TV channel must be in English so that the largest number of viewers worldwide can understand the broadcasted content. The most important part of any business model is financing. Because financing plays an important role in the success of any organization. Currently, Fiancia has investors and partners who fund these channels individually. Fiancia runs a micro finance campaign to attract an investors. ICO Details Publicly Fiancia Ltd aims to offer FIN coins on a specified date March 1, 2018, 13:00 GMT. In this case the company has targeted to receive only up to 3000 Ether at an early stage by issuing 6 Million Tokens. Fiancia is targeting a total of 30,000 Ether for the project. Fiancia is committed and agreed not to receive a contribution when the 30,000 Ether threshold has been met. They target ICO and the introduction of services and business prospects in well-known forums. Offers the opportunity for some crypto currency entities and in this case various leading names like Bittrex, HitBTC, and Binance etc. Has a financial volume of $ 463 million, $ 524 million and $ 162 million each of which would be eligible for consideration. In addition, various other names such as BTC.sx, CEX.IO, BTC China and Coin Check also attract the attention of management Fiancia Ltd.
Lastly, you can read the whitepaper below for more details to make a deep analysis of this project.